It's difficult leaving behind Cambodia as I've learned to love it during the few days I was there. The awesome temples and ruins in Siem Reap are forever etched in my mind while the Killing Fields and the Tuol Sleng museum will haunt me for its poignancy in these troubled times. J.P., as he is wont to do, woke us up - except Jessica who's flying back to Bangkok. The six of us remaining - Joe, Bethan, Tanya, Alison, Jane and me - took the big bus that will bring us to Ho Chi Minh City, or Saigon as it used to be called.Crossing between the Cambodian border town of Ba Vet and the Vietnamese point of entry Moc Bai was a breeze again for me as I didn't need a visa to enter. This trip was made all the more smooth by the paved roads from Phnom Penh up to the Mekong river ferry-crossing and then all the way to Ho Chi Minh city itself. We were stopped by police roadblocks along the national highway in Cambodia - only to find out that Cambodian Prime Minister Hun Sen was visiting a roadside area where we were passing through. As the bus attendant explained to us on board, we were allowed to go through as "we are only a tourist bus". Indeed why not, with all these blond caucasians with me? Even then, I saw the probing eyes of the Prime Minister's security force with their hands glued to their automatic weapons as we slowly passed through a roadblock of Pajeros and Nissan Patrols. After gazing through bucolic scenes of rice paddies, water buffaloes and more rice paddies, Vietnam's colonial capital during the French occupation became evident as business establishments came into view. The traffic was also another tell-tale sign - hordes upon hordes of motorbikes zipping through the streets that I dread to imagine playing patentero with them once I set foot in the city. Ho Chi Minh city is more progressive than Phnom Penh but there's still a pinch of colonial charm to it that you don't find in Bangkok (it was never colonized anyway) or Manila. 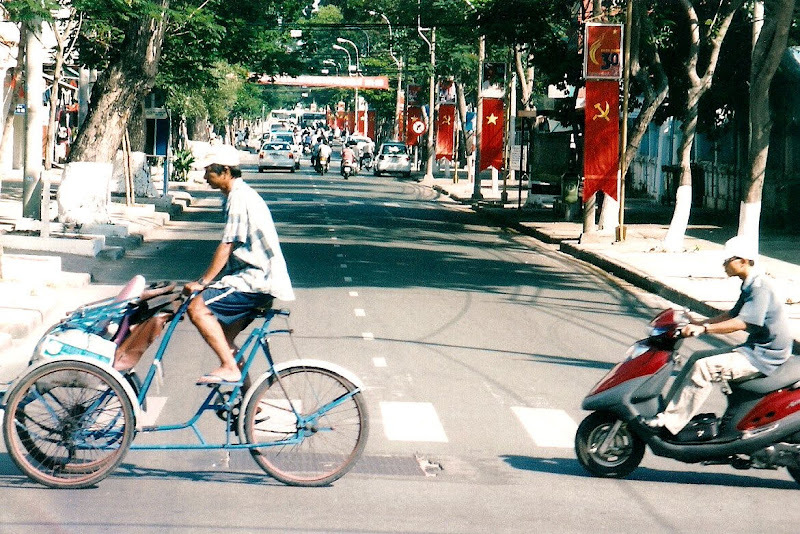 What surprises the first-time visitor to this vibrant city is the happy marriage of communism and capitalism. Nowhere is this more tangible than in the city center with its ubiquitous shops selling foreign goods that crowd every block. 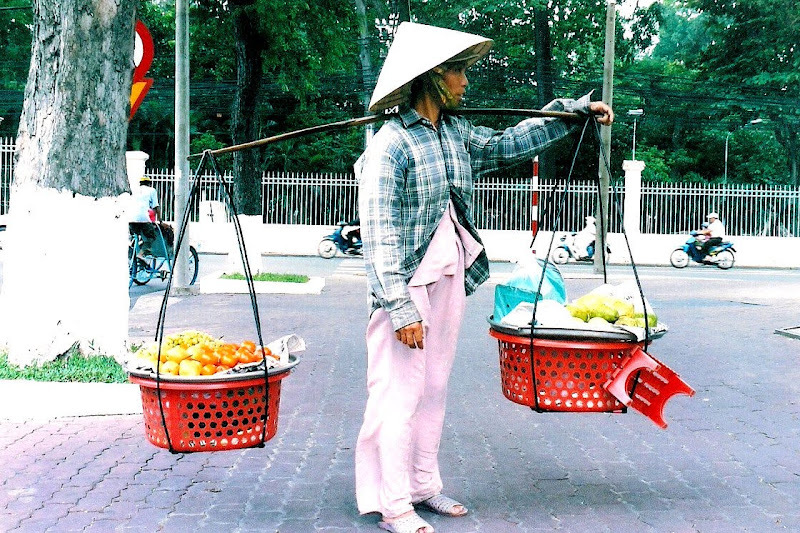 In Ben Thanh alone, a popular market for locals and tourists alike, you could get lost in its maze of stalls selling everything under the sun. In this city of 4 million motorbikes and 8 million potential vehicular accident victims, crossing the streets is indeed a big challenge. J.P.'s advice is just to walk steadily and purposely without ever trying to hesitate or back-track as drivers would merely try to navigate past your movement. That sounds easier said than done but the moment I tried crossing a major intersection, I feel like I was in the middle of rampaging bulls. Thankfully, I made it through this maelstrom unscathed but then there's another major street to cross after the other block! I checked into Saigon Riverside Hotel - I've pre-booked this prior to the trip - while the rest of my group went to a hostel recommended by J.P. Our trip across Indochina officially ends here but J.P., who considers Ho Chi Minh his favorite city, has made plans for us in the evening. Indeed, as night falls, Ho Chi Minh becomes more alive as the city has a plethora of clubs, pubs and bars for a lifetime of R & R bliss. I meet up with J.P. and the rest of the group for a drink at the Shadow Pub, a stone's throw from where I'm staying. We had dinner at Bo Tung Xeo, a huge restaurant frequented by locals for its Vietnamese barbecue. J.P. apparently is frequent himself here as the waiters recognize him. We had beef slices that we grilled ourselves over hot coals on the table. J.P. somehow wanted something else in the menu that probably has the whole Kingdom Animalia in it. J.P. disappeared into the kitchen and brought back to my horror live black scorpions the size of a child's fist. 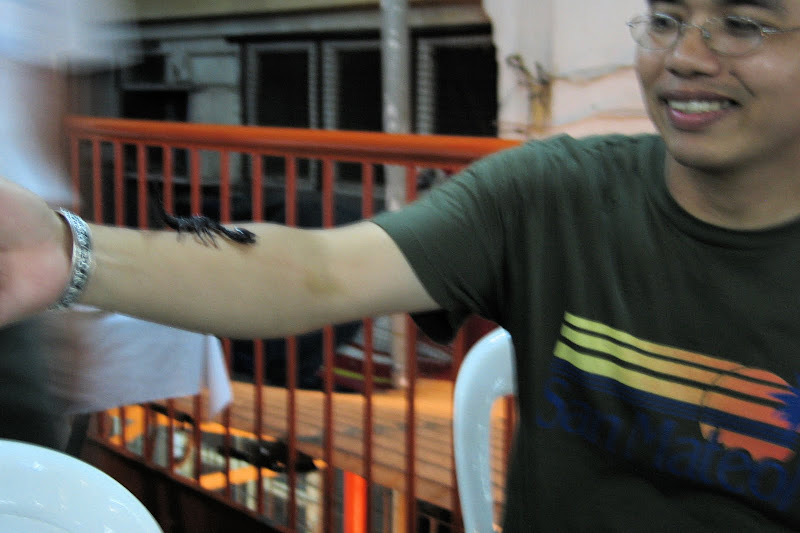 Joe immediately played with the hairy creature, allowing it to graze on his arms. Meanwhile, J.P. had the waiters bring stewed rat meat and frog's legs to be grilled. Before I could protest, the scorpions themselves literally got roasted to their deaths, the faint hiss that I hear probably being their last breath. I begin to wonder if too much globe-trotting has affected J.P.'s culinary tastes but he's really bent on bringing adventure right down to our stomachs! I tried the frog's legs but the rat meat and scorpions were way too exotic for me to even try tasting it. After stopping by the Blue Gecko bar patronized mostly by Aussies and at the jazz bar Carmen's (where the leading vocalist was a Pinay, J.P. told me), it was time to bid goodbye to J.P. - an excellent tour leader for the Imaginative Traveller. He actually went beyond being just a tour leader. He became our good friend. 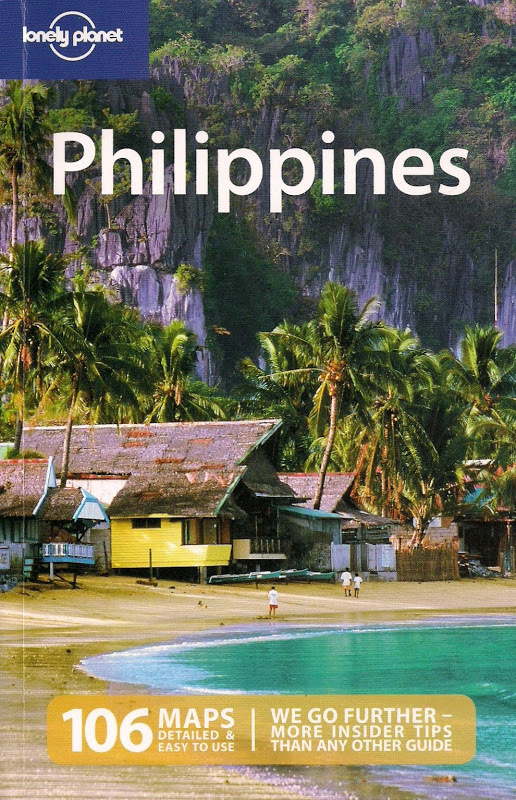 I saw your site while surfing for blogs about Cambodia/Vietnam travel reviews. :) You have a good site. I was able to add items in my list. Two thumbs up! And for the tour guide - how did you get one? Do you have contacts? Traveling overland from HCMC to Siem Reap entails a long ride, either a combination of 2 long bus rides from HCMC-Phnom Penh-Siem Reap or a bus & ferry combo (which we did). Since you only have a very limited time, I suggest you fly instead to maximize your sightseeing time. Our guide was already arranged for us @ the time (2005).